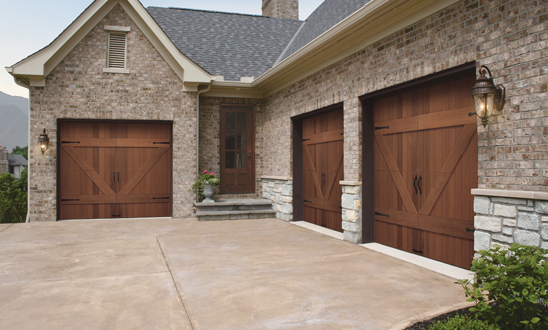 Your imagination is the limit with Clopay’s Reserve Collection of garage doors. Choose from pre-made designs or a completely custom made garage door straight from the manufacturer. Different wood species, such as hemlock, cedar, redwood, cedar, fir and meranti, are available to choose from. 7 different finishes are available from Clopay, as well as pre-painted wood garage doors. We offer these custom wood garage doors for installation in the greater Atlanta area, as well as other types of new garage doors.